The OC Mix is Orange County’s best kept secret. A marketplace for gourmet foods, coffee, and wine with over 30 retail shops under one roof and purveyors of all things good. It is a vibrant gathering of owner-operated shops who offer unique products for foodies, fashionistas, home obsessed, eco-warriors, little ones and more. Located at South Coast Collection (SOCO) in Costa Mesa, CA, The OC Mix offers a cool vibe, one-of-a-kind finds, eco-friendly products and celebrity favorites. 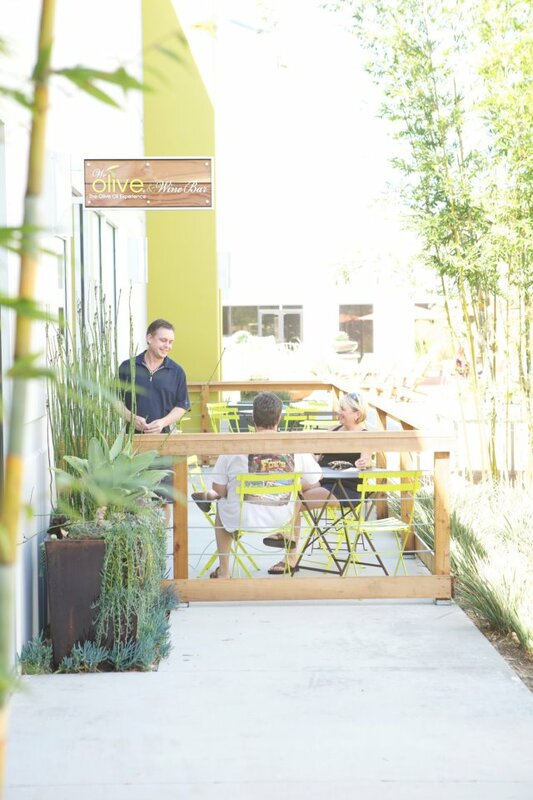 We Olive & Wine Bar at the OC Mix Owners Debby & Phil Brooks share insider tips on making the most of your visit to the OC. 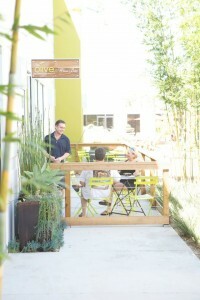 For breakfast: Green Leaf Gourmet Chop Shop for the best Eggs Benedict in town. Birdie Bowl & Juicery for tasty açai, pitaya bowls and smoothies. For lunch or dinner: Portola Coffee Lab for Phil’s favorite – the Vegetarian Sandwich…but add turkey!. Taco Maria for seasonal, sustainable Mexican. Shuck Oyster Bar for the Clam Chowder and small deep shell oysters. The Iron Press for the insanely delicious Buttermilk Fried Chicken Waffle Sandwich with Jalapeno Maple Syrup. Arc Food & Libations – everything is made in-house or sourced from local artisan producers. You can’t miss the beet salad or their bacon. For snacks and sweets: The Cheese Shop – everything here is delicious. They have the best selection of artisan cheeses and charcuterie. Nice Cream – Organic gelato and sorbet made fresh daily. We love the Salted Carmel Gelato and of course, the Lemon Olive Oil Gelato, which we sell in our wine bar. 7th Tea Bar for tea service with freshly made tea sandwiches. For craft beer: The Iron Press for craft beers and tap takeovers held once a month. For cocktails: Arc Food & Libations for their Cigarettes & Coffee cocktail – rye whiskey, smoke, and coffee bean. For coffee: Portola Coffee Lab for their latte. Fixtures Living for premium lifestyle products for the home and TPT Home for inspired decor. Chuck Jones Center for Creativity – founded by the legendary animator Chuck Jones, the center offers programs, classes and exhibitions designed to inspire creativity in children (of all ages).